Back from Strip Turnhout and Paris. Not a lot of room for books (too many diapers in the suitcases) but I thought I’d share with you what I picked up in Belgium and Paris. My Boy by Olivier Schrauwen (Bries). This one’s been out for a while and I finally shelled out for it. 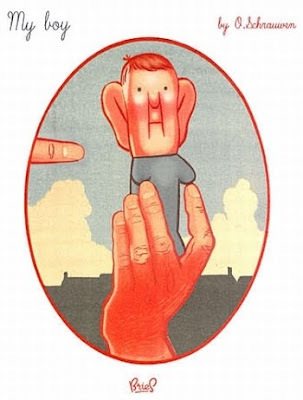 If you haven’t seen this book you may have seen Schrauwen’s oddball, old-fashioned looking comics in Mome. Mr. B. the Bird and Mr C. the Cat, by Wasco (Microbe). While in Paris I was introduced by my friend to a small but excellent bookstore specializing mainly in independent comics. It’s called Philippe le Libraire (Philippe the bookseller, so-called because in an earlier life he had a different profession: Philippe the baker) and it’s on rue des Vinaigriers in the 10th Arrondissement, just off the Canal St. Martin. Autobiographical vignettes from one of my favorite visual storytellers, interspersed with prints and drawings. So far it doesn’t feel like a major work but I’m always happy to see new stuff from her. 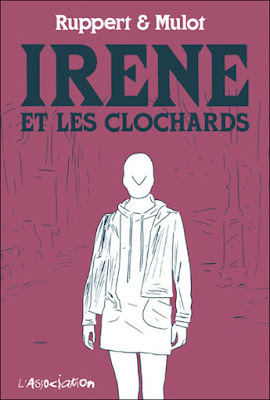 I just watched Agnès Varda’s Cléo from 5 to 7 and this new album (which may or may not be the first in a series) seems to owe a debt to that film–it’s about a young woman living in dread of breast cancer–and maybe to Varda’s work in general in that it deals to some extent with Paris street people. 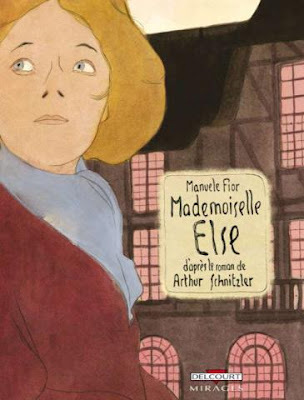 Mademoiselle Else by Manuele Fior (Delcourt). 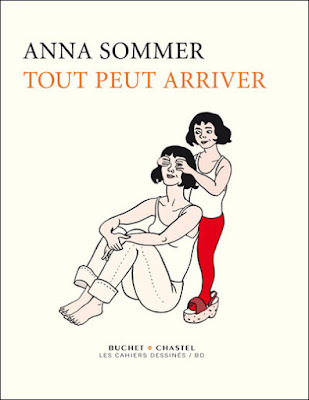 This is a full-color (watercolor and pencil) adaptation of an Arthur Schnitzler story and reads, to be honest, like a parody of decadent fin-de-siècle literature, though I think it’s meant to be taken seriously. The artwork, by a talented young Italian, is striking throughout showing a debt to Schiele and Munch, and, in its more monochromatic, minimalist pages, evoking Frank Santoro’s work. This is a kind of scrappy, kitchen sink comic in which I saw a certain kinship of sensibility and narrative approach to my own Odds Off… You can see a photo set about it here. Haven’t read this one a lot but it’s getting some buzz. 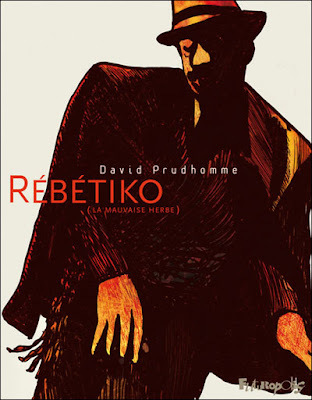 A biography of a famous and troubled gypsy singer (“Rébétiko” was his stage name and it apparently means crazy in Romany). 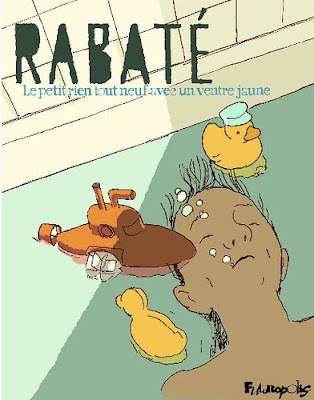 The last title was also recommended to us highly by our friend (and Jessica’s editor at Dargaud) Thomas Ragon, who also slipped a copy of Sfar and Blain’s latest installment in the as-yet-untranslated “Socrate le Demi-Chien” series, Oedipe en Corinthe. Thomas also proudly showed of the lesser of his two new babies (first place goes to Max, born in October), Sfar’s 500+ page book of sketches, studies, storyboards, and miscellanea from his Gainsbourg biopic, which is coming out soon and apparently getting some good advance reviews. This story starts like countless autobio comics as a chronicle of young cartoonists making fanzines and trying to get their work seen, but it takes a turn toward paranoid speculative fiction when the TV news announces that all self-publishing is illegal effective immediately. Kids can’t sell their comics on consignment at the record store anymore so they go to increasing extremes to get their work out into the world. I heard about the comic event at Angoulême this past weekend. Is the one that you attended the same? Thanks for sharing your comic finds and photos of your trip. That book shop must have been terrific. Your Odds Off graphic novel is one of my favorites. My wife is from Iran and I had a lot of Persian friends in college so it was fun to read of some complex Iranian characters in an U.S. University setting. I just noticed the date of your blog so I think I've gotten an answer to my first question of the previous comment. Best regards.